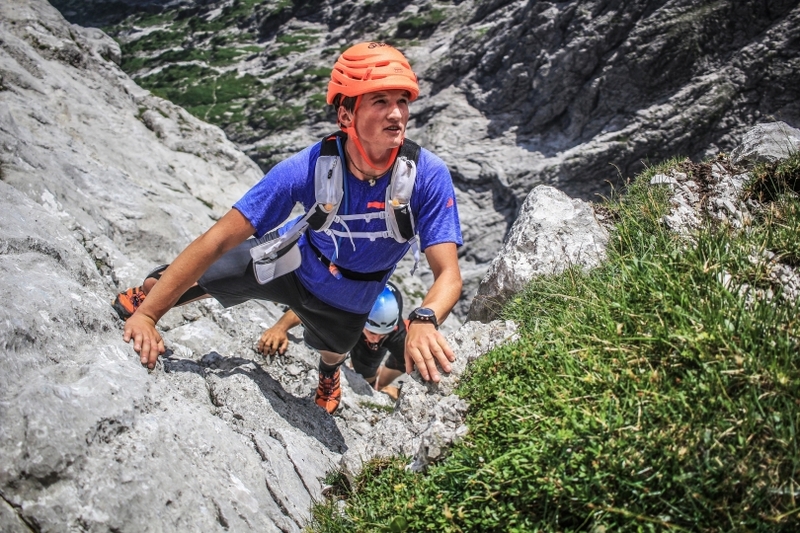 After my injury related exit at the #82summits project with Ueli Steck , a lot of time for me was first there. I had no project so I went to train and guide a bit . 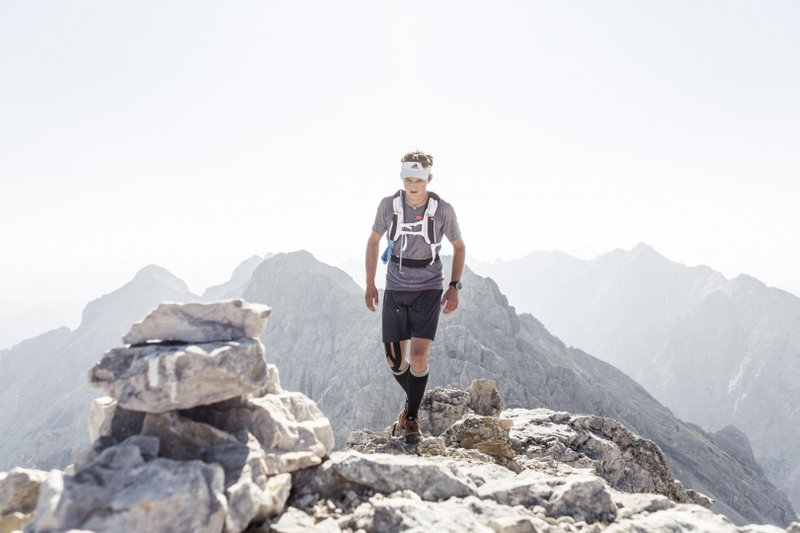 By chance,my friend Alex Scherl (www.alpinschule-augsburg.de) called me two weeks after the old project and told me about his project , he was looking for a partner for the enchainment of Watzmann "east face" and Zugspitze "Jubiläumsridge". The whole combined with the roadbike without cablecars . All in all the two highest mountains in Germany , on classic hystorical guiding routes 223 Kilometers , 7000 Verticals. I was highly motivated , since I was road biking for the 82summits project. The good weather window came and we started in St.Bartholomä . 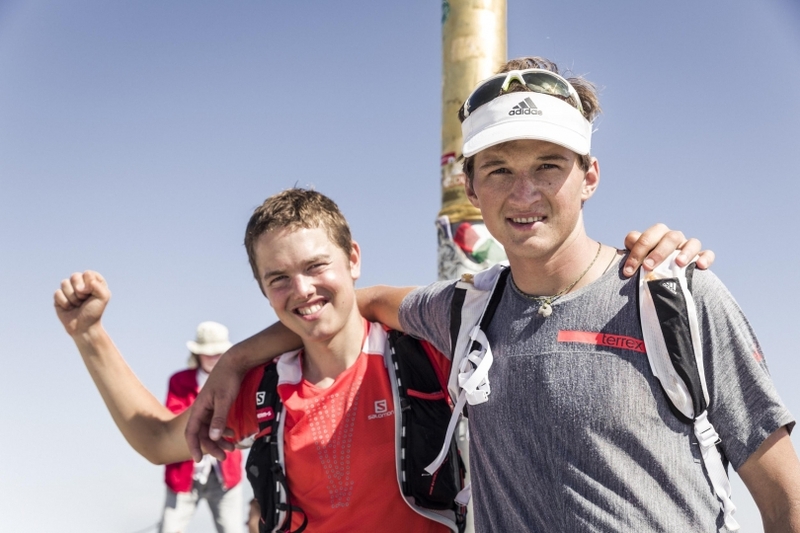 Our team involved the professional TrailRunner Philipp Reiter, three other friends who wanted to participate partly and Photographer Julian Buckers. We needed 3h03min for the Watzmann "East face"(normal parties need 7-13hours) and 2 hours later we were back down at the Wimbachbrücke. Here we made a short brake, took a swim and started biking, 205 km 2000 Verticals to Hammersbach waited for us . After 100 km the night came and we noticed that we are already quite long on the way. At 00.30 clock we reached Hammersbach . At 01.00 o'clock we started our way up to the Alpspitze. Unfortunately Alex, the initiator of the project got out of power after 18hours and couldn't move anymore, so he went back down and Philipp and me went on. Not only Alex was really f***ed, also me and Philipp were really tired! As the sun rose shortly after the Alpspitze we gained back motivation and the summit came closer. But the fatigue was getting bigger . Finally after 25h we arrived very very broken the summit of the Zugspitze , we weren't really able to enjoy it simply too tired . We did 223 Kilometers , 7000 Verticals, and 14,000 calories these are some bars... I think everybody can imagine how our stomachs felt afterwards.